Like many of you, I’m sure, I find it so hard to go into Mac and not come out with something. So, on my lunch break I raced down to my nearest Mac counter to see the new Mac Fall Wild colour and Angel Flame collections of which I have heard a lot of great reviews. I was especially intrigued by Snow Orchid and Lightscade, and after reading so much about them I wanted them badly! All I can say is, what a let-down! I was not won over by Lightscade as I thought I would be. The veining was not as pretty as in previous years and found that it was way too white and chalky for me. As for Snow Orchid, I’m not sure if it was the fact that its stand had a clown on it but I felt it too bright for me. When I compared it to Girl About Town I felt this was more fuchsia and all round a nicer hot pink. One thing that did live up to my expectations was Rain of Flowers nail polish from the Posh Paradise collection. 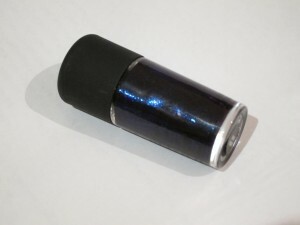 This is a lovely and rich bluey/purple colour with shimmer in it and is a perfect colour for fall. You do need to apply three coats for this nail polish but it is seriously worth it! I felt so deflated after seeing the first two collections so I started to look around the rest of Mac and a few pieces caught my eye. The first was Milan Mode which is not a lipstick I have heard a lot about. At first it looked quite scary due to the amount of shimmer it seems to contain, however once applied it’s a gorgeous berry pink a really lovely colour for fall and my ‘go to’ lipstick at the moment. The third thing I picked up was a blusher called Fleur Power. I have wanted a change from my beloved Springsheen for some time. I wanted something less sheer and without shimmer. A more pinky colour for winter, and Fleur Power has been on my want list for a while (I hope I’m not the only person with one of those!). 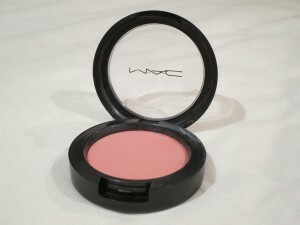 This has a lovely satin finished pink with a hint of coral blusher and is highly pigmented. You have to have a really light hand when applying this otherwise you could look clown-like, but when you get it right it gives you a lovely flushed pink look, again perfect for these colder days!